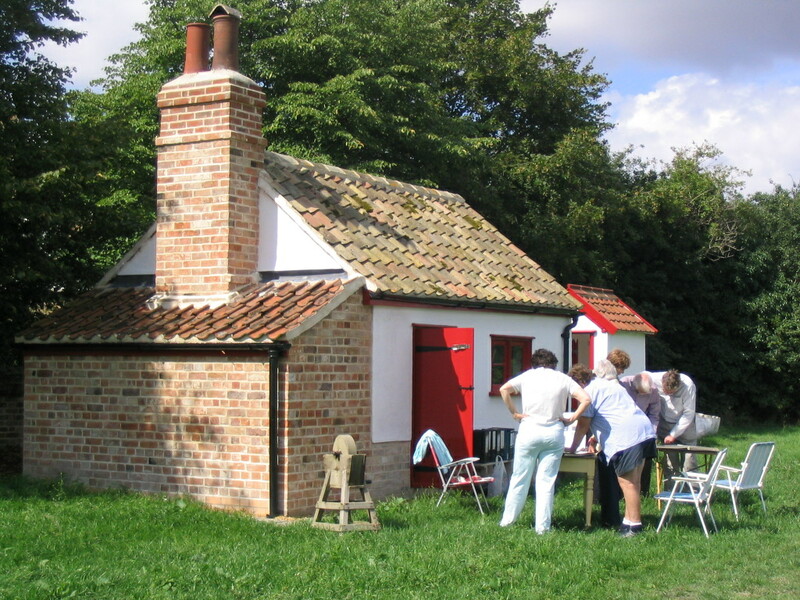 In 2006 Howard Stringer organised a rescue project to relocate two historic building from the site of Quarry Farm (which had been demolished in the 1960’s) to a permanent home on the Well House Meadow. The Bakehouse and Privy were originally farm outbuildings dating from the early 19th century. They were taken down and re-erected using the original materials as far as possible, including clay and straw ‘bats’ made by volunteers using a wet process that provided much amusement for the onlookers. Volunteers carefully recorded the structure of the buildings during dismantling, to enable accurate re-assembly, and kept a photographic record of the project for the Village Archive. The building is now used as a heritage resource centre equipped with permanent display boards covering the history associated with the buildings and contemporary village life, all researched by local volunteers. Extracts from the Village Archive are on display once a month during the summer and the old Well House, from which the meadow gets its name, is occasionally opened at the same time. Opening dates in 2019 tba. The bakehouse contains a bread oven, a fire place and a clothes washing boiler, all wood fired. A group of enthusiasts has mastered the art of firing the oven without smoking everyone out of the building, and bread making is organised on festive occasions.